The Stowaway has been around for a long time, but we feel it deserves a little reintroduction. It was designed to be as light weight as possible with a very minimalistic design. The shirt snugly fits into a little pouch located at the back of the neck and is secured with a drawstring & toggle. This can be removed if being worn with chest rigs & packs. It's small & lightweight enough to be thrown in a daypack, vehicle glove compartment or jacket pocket. You'll hardly notice it's there, until the weather gets rough and you need that extra layer. The textile used is a light minirip nylon with a DWR finish, which is showerproof and highly breathable. 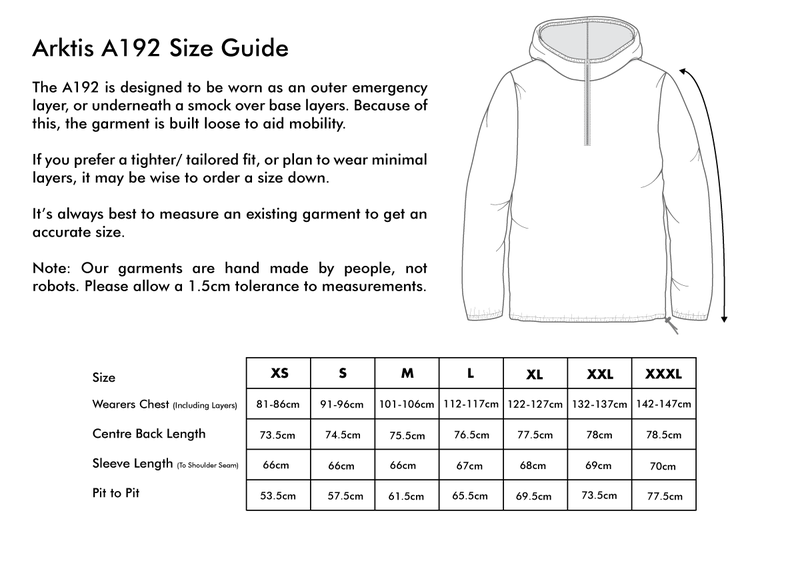 The whole garment weighs under 200g (Based on size M).